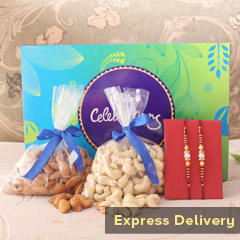 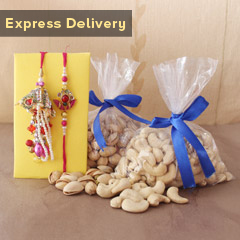 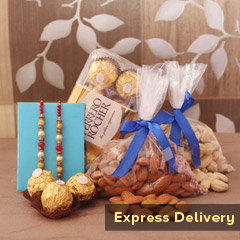 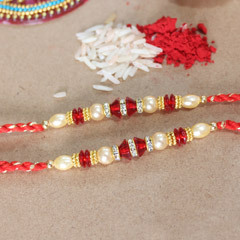 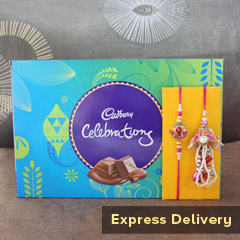 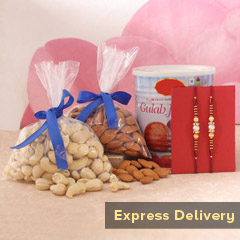 Here comes a Rakhi set of two very appealing Rakhis that are crafted using very distinctively shaped and colored beads. 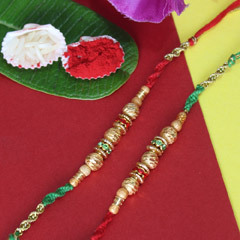 Apart from all the colorful beads on the strands and around the Rakhi, the big bead in the center is adding into the appeal of this attractive Rakhi. 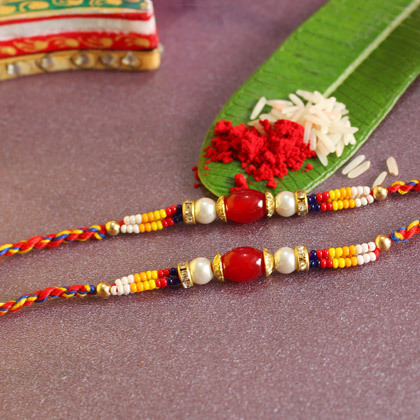 You can definitely win hearts of both your brothers by getting accentuated their wrists with these Rakhis.